CityLink have announced that from Monday 21st May 2018, the 11:05am bus from Letterfrack to Galway via Clifden, will leave at the earlier time of 10:25am. Scheduled arrival time into Galway for this service is still 1:30pm (unchanged). See regional buses West of Galway for other bus services in the area. Burkes Buses have announced that their summer timetable will run from Monday 21 May 2018. They will start again for the September college term - exact date is to be advised. 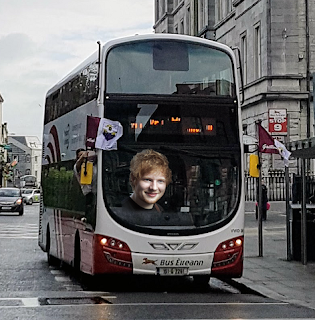 Pop-music performer, and former Galway street busker, Ed Sheeran is in concert at Pearse Stadium in Salthill on Saturday 12th and Sunday 13th of May 2018. To complement the event, venues in the city's Latin Quarter are also running an Ed Fest over the weekend. Due to security and traffic management issues, a large part of Salthill will be restricted to residents vehicles travelling one-way only ( from Threadneedle Road down Doctor Mannix Road and towards the Prom via Rockbarton Road or Dalysfort Road.) between 7pm on Friday 11th and 12 midnight on Sunday 13th. The area which is affected is shown on this map. Traffic can still use the roads on the edge of this zone, but access inside it is restricted. Residents are receiving more detailed maps, and access passes which they can use for this event and for GAA games later in the season. The annual Darkness into Light walk along Salthill prom is also in the early-morning of Saturday 12th. People travelling to this from Newcastle / Knocknacarra / Westisde will need to go around the traffic cordon. There will be less parking than usual as no side-streets in the cordon can be accessed. They didn't give times for this - but the route is likely to apply for the entire cordon period (ie from 7pm on Friday 11th through to the end of Sunday). It is likely that they will run buses much more frequently than every 20 minutes before the concerts, and afterwards for people returning to the city-centre. Note that there is a substantial walk (15+ minutes, much of it uphill) between the Aquarium and Pearse Stadium. Another option is to catch bus 402-Seacrest / Knocknacarra (map) and walk downhill to Pearse Stadium. Irish Rail are running an extra train for people travelling home after the concert (12:15am to Athlone, serving all stations), on both days. CityDirect have announced that the last 410-Knocknacarra via Salthill (map) on Saturday 12th will leave Eyre Square at 4:30pm. Services on their other routes are not affected, and route 410 does not run on Sundays. 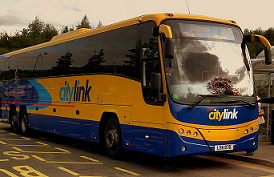 BusLink (Athenry) have announced there will be a NiteLink service to Athenry on the Sunday night / Monday morning. For this buses will leave Eyre Square (across the road from O'Connells) at 8:30pm, 10:30pm, 12:30pm and 2:30am, as well as the regular Saturday Nitelink service. 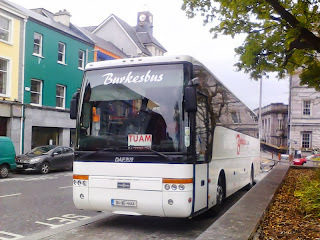 Burkes Buses (Tuam) have announced that they are not running any special services for these concerts. 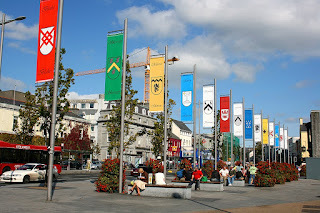 However they to run a regular service to Galway on both Saturday and Sunday, and may have buses available for private hire. Monday 7 May 2018 is a public holiday and bank holiday (Saoire Bainc na Bealtaine) in Ireland. 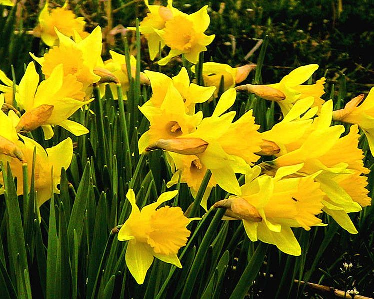 Bank, public services and government departments will be closed on Monday 7 May. Most shops will keep their regular Sunday hours on Monday the 7th also. 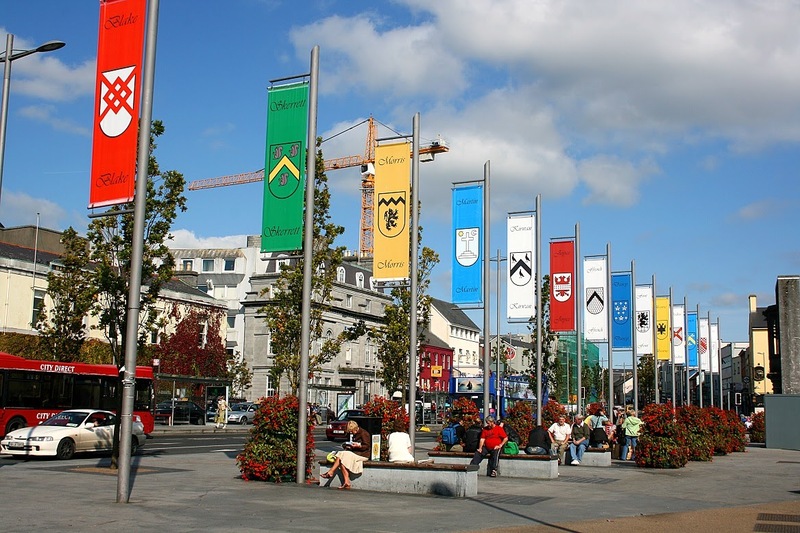 Below is a summary of the public transport services in the Galway metropolitan area during this weekend.